SCVHistory.com LW3375 | Film-Arts | Charlie Chaplin Inside SPRR Saugus Depot, 'The Pilgrim' (1923). Charlie Chaplin inside the SPRR Saugus Depot in "The Pilgrim" (1923). 8x10 copy print from publicity photo. The SPRR Saugus Depot steals the scene at the beginning of 1923's "The Pilgrim." 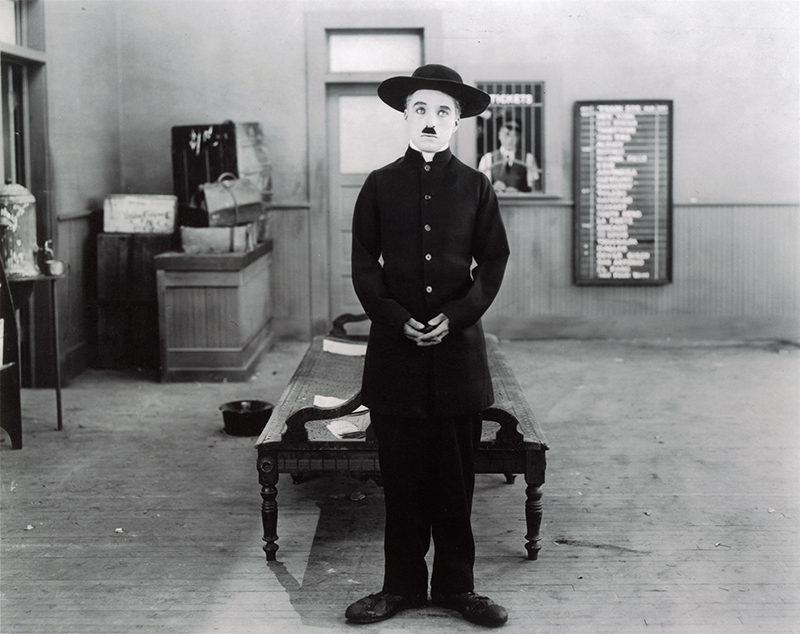 Charlie Chaplin is an escaped convict trying to evade detection by the stationmaster (Henry Bergman). Two lovers (Syd Chaplin and ?) want to elope and mistake Chaplin for a minister because of his attire. The girl's father (?) 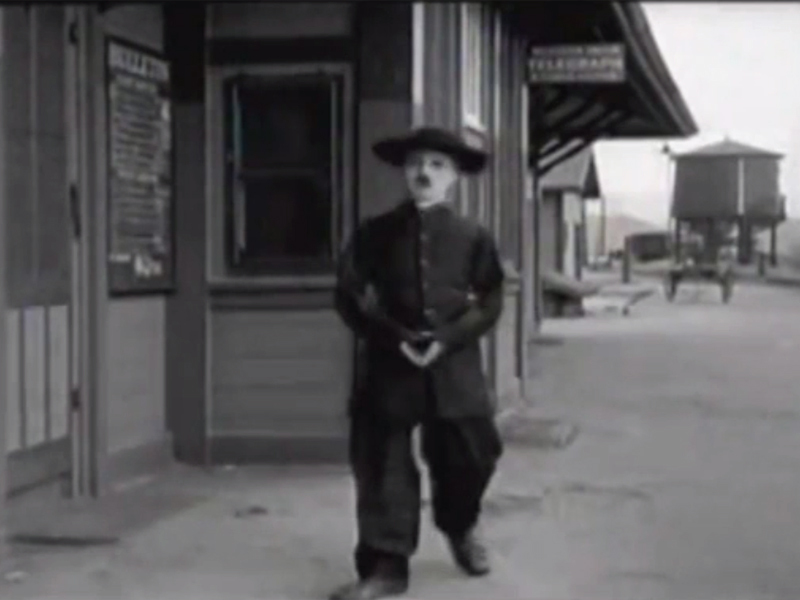 shows up in a rage and chases after Chaplin and the young couple, escorting his daughter home. Notice the words "AT SAUGUS" on the train timetable. Also, we get a rare close-up look at the out-building to the south of the station. Chaplin does end up impersonating a minister in this 59-minute short, written, directed and produced by Chaplin. Ultimately Chaplin is allowed to escape to Mexico after he derails a thief's ploy to separate Chaplin's new-found love interest (Edna Purviance) from her life savings. Also stars Mack Swain, Mai Wells, Dean Riesner, Loyal Underwood, Charles Riesner, Tom Murray, Kitty Bradbury and Henry Bergman. LW3375: 9600 dpi jpeg from copy print 2018 by Leon Worden.